If Puerto Ricans don´t change their consumption habits to generate less garbage or create and identify new recycling markets, the island would have no landfills left in the next two to four years, concluded a study that analyzed the capacity of these systems after hurricanes Irma and María. This frightening forecast includes the fact that landfills have already lost a year of useful life due to the large amount of debris generated by both hurricanes. According to the study, between September 2017 and June 2018, these systems received 2,660,000 tons of debris, particularly construction debris. The landfill capacity study was requested to the Federal Emergency Management Agency (FEMA) by the Department of Natural and Environmental Resources (DNER). FEMA approved funding and commissioned the work to EPA, which in turn contracted Weston Solutions. Researchers visited the island´s 29 landfills, requested information from public and private operators, and made topographic and measurement analyzes. The data compiled led to determine that, overall, these systems barely have the capacity to receive an additional 10,100,000 tons of waste. Guerrero and Eduardo González, EPA environmental engineer, explained that the remaining capacity was estimated under two scenarios. The first one was based on the Dynamic Itinerary for Infrastructure Projects Public Policy Document, prepared by the Solid Waste Management Authority (ADS, Spanish acronym) – now under the DNER – in 2008. According to that document, landfills receive 3,470,000 tons of garbage per year . Considering that they can only receive 10,100,000 extra tons, they would have 2.91 years of useful life left. The second scenario was based on data provided by operators on the actual amount of waste they annually receive, which totals 2,410,000 tons. Thus, landfills would have 4.19 years of useful life left. According to the Planning Board, Puerto Rico generates 5.56 pounds of garbage per person per day, exceeding much larger and densely populated jurisdictions, such as Florida (5.37), California (4.31) and New York (4.1). This figure also exceeds that of large Latin American cities, such as Bogotá and Buenos Aires (2.95), Lima (2.65) and Sao Paulo (2.20). The same applies to Germany (3.55) and Spain (3.31) in Europe. Out of the 29 landfills on the island, only 11 have liners to prevent leachate (garbage juices) seeping into the soil and aquifers. For EPA, these 11 are "landfill systems" and operate in environmental compliance. The remaining 18 are "open dumps". They do not have liners, so they operate in breach of existing standards. Out of those, 11 have closure orders and consent agreements with EPA. 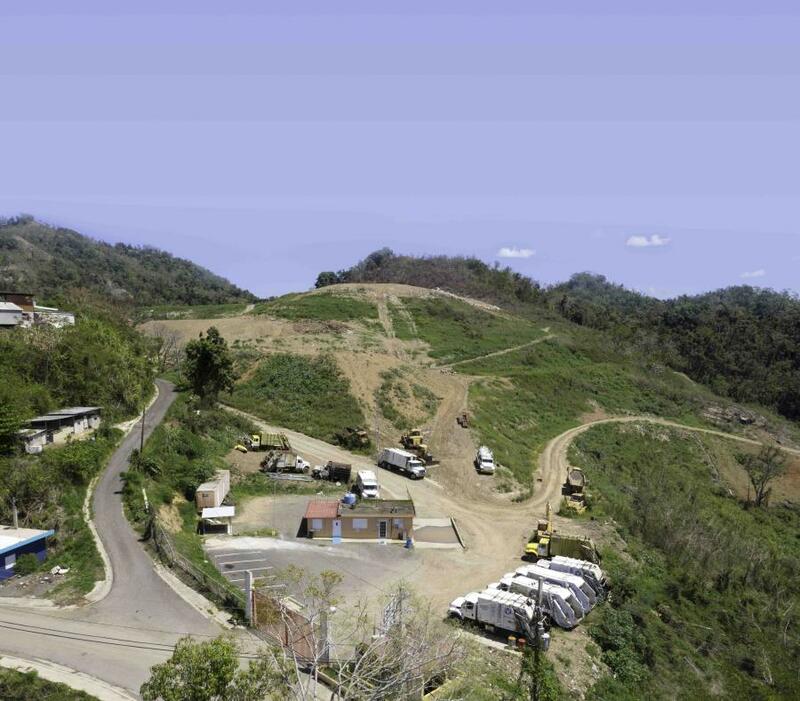 The Aguadilla and Santa Isabel landfills no longer receive garbage, but works related to their closure remain, such as groundwater monitoring. Guerrero noted that the capacity study included the 29 landfills, "even though we don´t want those in non-compliance to continue receiving waste." The study estimated that, if the additional 10,100,000 tons are taken only to the 11 systems in compliance, they would have between 2.20 and 3.16 years of useful life left. González said that the priority is not to use landfills that do not comply with federal and state regulations. He also pointed out that the Landfill Capacity Report Master Workbook took six months. As part of the study, they analyzed which landfills would have expansion capacity, they found that 15 said they could build new landfill cells. According to the information provided by operators, these new cells could receive 49,104,000 tons of garbage. Guerrero stated that this “doesn´t mean that everything is going to be approved. It is necessary to go case by case, and it will be a decision of the government of Puerto Rico and the municipalities.” She also explained that it is the DNER's responsibility to grant expansion permits. Meanwhile González stressed that permits for new storage cells "require personnel that Natural Resources does not have." For example, he mentioned professionals such as engineers, geologists and surveyors. But there is a solution. After the hurricanes, EPA´s Caribbean Environmental Protection Division received $ 50 million for solid waste recovery. $ 40 million of that package will go to Puerto Rico and the rest will go to the US Virgin Islands. Guerrero and González said that part of the $ 40 million will be used to help the DNER hire, at least temporarily, the professionals required to evaluate and grant permits. Guerrero said that it is necessary to develop the capacity in the Department in order to be able to approve different expansions and address “the challenge we face”... that the capacity of landfills in Puerto Rico can be expanded, but they should expand close to where there is already an impact. DNER Secretary Tania Vázquez said that another portion of the $ 40 million will be used to pay for a waste characterization study and another on its flow to landfills. The most recent characterization study dates from 2003, and found that landfills receive large amounts of potentially recyclable or compostable waste. The list is headed by vegetative material (22.1%) and followed by construction debris (14.9%), organic waste (12.8%) and plastic (10.5%). Although Law 70-1992 requires the rate of recycling on the island to be 35 percent, the current figure ranges between 12 and 14 percent, according to the ADS. "These studies are the first step to establish options and know how to handle garbage," Vázquez said. She added that the $ 40 million will also be used to "help" close landfills with EPA orders, increase the number of those operating in environmental compliance and promote recycling, composting and other waste management options. About this, Vázquez recalled that the “Puerto Rico is Open for Green Business" summit will be held on April 30 and will bring together global recycling industries, among others. The idea is to draw the attention of these companies to settle on the island or that they identify raw materials for their products and export them. She said that, in addition, Puerto Rico has a grant for Rural Development recovery, which is being presented to municipalities so that their landfills can comply with the regulations. It is 100 percent federal allocation, also available. Vázquez informed that the ADS secured another $ 800,000 grant to "bring an education and recycling message" to communities. The campaign will be extended to all 78 municipalities. She stated that, unlike other occasions, Puerto Rico now has a well structured plan, hand in hand with EPA, to properly address the solid waste situation. As for the post-hurricane capacity study, Vázquez said it did not take into account the landfills for which DNER already approved new landfill cells. Vázquez also said that the study put Puerto Rico in perspective, and forced her to look for new management options and create work plans to address issues such as climate change.